This One Truly Checks All The Boxes! MLS#3499475. Savvy + Co Real Estate. Every townhome has it's own porch space with additional storage closets. MLS#3473041. Lennar Sales Corp.
Myers Park - Stunning finishes all within a few steps to a glass of wine, home interior store, dining out or a bike ride away from Freedom Park! MLS#3499189. Savvy + Co Real Estate. All this AND walkable to Dilworth, Uptown, light rail and so much more! MLS#3498867. Lilac Realty LLC. Walking distance to parks, light rail, local transportation, museums, sporting venues, shopping, Charlotte nightlife, and convenient access to 74, 77, and 85 via 277. Original owner, never leased. MLS#3499619. The Virtual Realty Group. Visit the HOA website: www.villageoftroon.com for more information. MLS#3498036. HM Properties. 423 M Street offers an excellent granite stainless island Kitchen, spacious Master with renovated bath, GOOGLE FIBER, beautiful floors, high ceilings and large windows, private enclosed patio and much more. MLS#3497575. Keller Williams South Park. Enjoy all that Uptown has to offer! MLS#3499337. Helen Adams Realty. Walk to Central Coffee, Intermezzo, and all that Plaza Midwood and Elizabeth have to offer! Welcome Home! MLS#3486863. Savvy + Co Real Estate. The Arts District - Owners have one assigned parking space out front. Washer, dryer and refrigerator included! MLS#3494466. Coldwell Banker Residential Brokerage. … 5 min to SouthPark, 10 to Ballantyne, 10 to Uptown Charlotte. MLS#3499568. Keller Williams South Park. 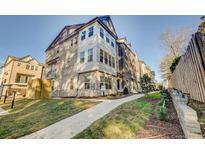 Park Place - Zoned to excellent schools, easy access to restaurants, shopping, greenway, and more! Showings to begin by 4/26. MLS#3498907. Dickens Mitchener & Associates Inc.
Covington At Providence - Very short walk to the community pool. MLS#3499581. RE/MAX Executive. Easy commute to uptown, airport is a 23 minute drive. Can't beat this location! MLS#3499013. Wilkinson ERA Real Estate. Scots Hill - New furnace 2018, new roof 2019. MLS#3498649. Keller Williams Ballantyne Area. Move in ready. One year home warranty included. MLS#3492594. Berkshire Hathaway HomeServices Carolinas Realty. Award winning schools! This won't last long! MLS#3499467. Hurd Realty Group. Why rent when you can own this fabulous condo in its convenient and desirable location? ! MLS#3496491. Helen Adams Realty. Enjoy uptown living in this bright and spacious condo. MLS#3499430. Keller Williams South Park. This one won't last long! MLS#3499362. Wilkinson ERA Real Estate. You will delight in this freshly painted townhome that is close to the CATS transit line, plenty of shops, restaurants and recreation. MLS#3499916. Hart Real Estate Group LLC. Prosperity Place - Shopping, Restaurants, and close commute to Huntersville, Concord Mills, and Charlotte. MLS#3476883. Keller Williams Concord/Kannapolis. Top rated schools too! Can’t beat location and price. MLS#3495687. Schwaiger Realty Group. Tenant in place pays $995 a month with lease expiring 7/23/2019 MLS#3499764. ProStead Realty. With much of the neighborhood featured on the National Register of Historic Places, Dilworth is a great place to call home. MLS#3498535. Premier Sotheby's International Realty.